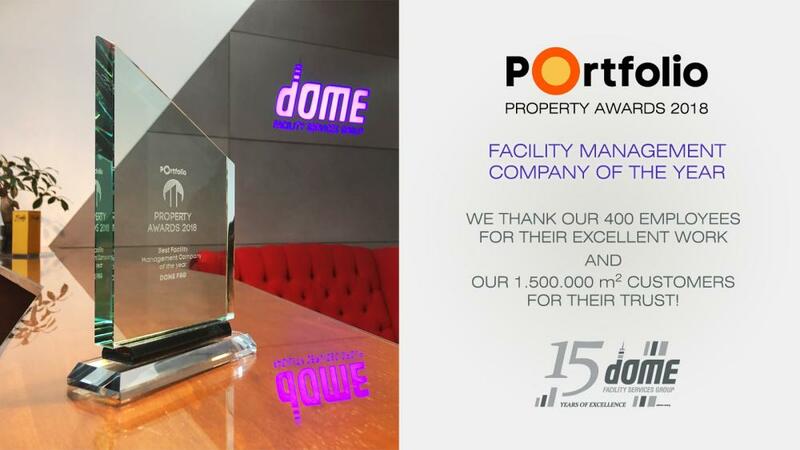 In the last 15 years, we have carried out facility management tasks in approximately 200 real estates, including category A office buildings and shopping centres, strategically important industrial and logistics facilities. As a result of strategic co-thinking with our clients we are creating integrated facility management solutions that best meet their business needs. The key of successful cooperation is understanding our clients’ business goals and priorities, as our work starts with defining the services and service levels taking into account efficiency, good practices, the specificities of the given sector or industry, and the location of the facility. Our professional excellence ensures the successful provision of services, not only in accordance with the requirements of the service contract but also with creating value going beyond our clients’ expectations. We develop a complex facility management model that is flexible and scalable. For our clients, the most important aspect is to ensure that their tenants or employees are working in a safe environment; their business and production processes are not exposed to any risk of foreseeable, probable failure, disorder, or malfunction in connection with the property. We give priority to these issues; undertake the provision and management of property-related services so that our clients can focus on their core business activity. One of the most important operational tasks is to control certain systems, equipment and activities in the manner and frequency prescribed by the law. Our employees are always up-to-date with the relevant provisions and the new pieces of legislation entering into force, thus ensuring compliance of the systems, equipment and processes used in the facility with regulatory requirements. For the implementation of works entrusted to us the executive managers and specialists are provided by us, so our clients do not need to hire staff for the operations or to organize continuous training for them. Experienced specialist carry out all the operations and management tasks. Dome’s support and professional team, backed by the experience and knowledge of the company, is available for the whole duration of the work on any issue that requires comprehensive, value-added, high-quality provision of services. The performance, management and control of tasks is concentrated, providing opportunities for exploiting synergies, managing resources more efficiently, monitoring and managing changes, and delivering solutions applied by our company. Uniform, traceable and accountable documents and reports are prepared on operational tasks that are available to our clients at any time. Our clients thus do not need to develop their own reporting systems and to provide expensive infrastructure. The facility manager is a specialist who recognizes the clients’ demands and responds to them professionally. The conditions related to operations and staff arising from the use of outsourced services, the content of the assignment and the range of services to be provided might be flexibly expanded or narrowed. Clients do not need to care about the investment costs required to carry out the activities, the provision and maintenance of the machines, equipment, tools and instruments is our responsibility.